Hey, happy Monday! This weekend was full of lots of painting in an effort to finish a few projects before heading to Georgia on Wednesday. 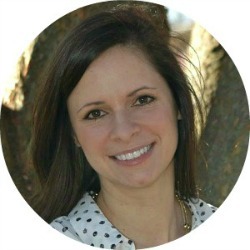 I'll be attending the Haven conference in Atlanta and I can't wait! I've formed amazing relationships with some fellow bloggers and I'm so looking forward to finally meeting them in person. I'm sure I'll be posting some behind the scenes pics on social media so make sure to check in if you want to follow along! I'm slowly but surely plugging away on the basement makeover and finally crossed another project off the list. A few years ago I bought a $20.00 dresser at Goodwill that I've been using to store our kids art supplies and toys. 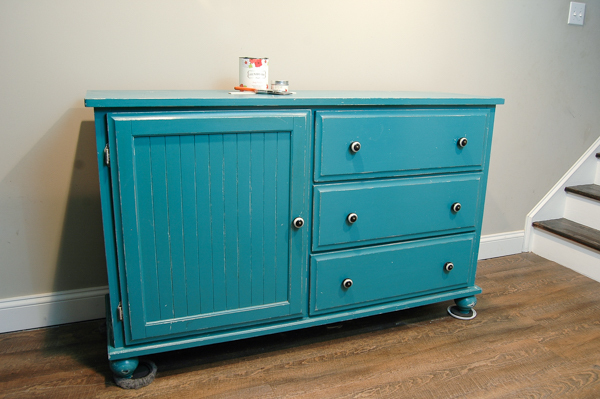 I originally painted the dresser a fun teal color, but since it no longer fit into the new basement design I gave it a couple fresh coats of paint. 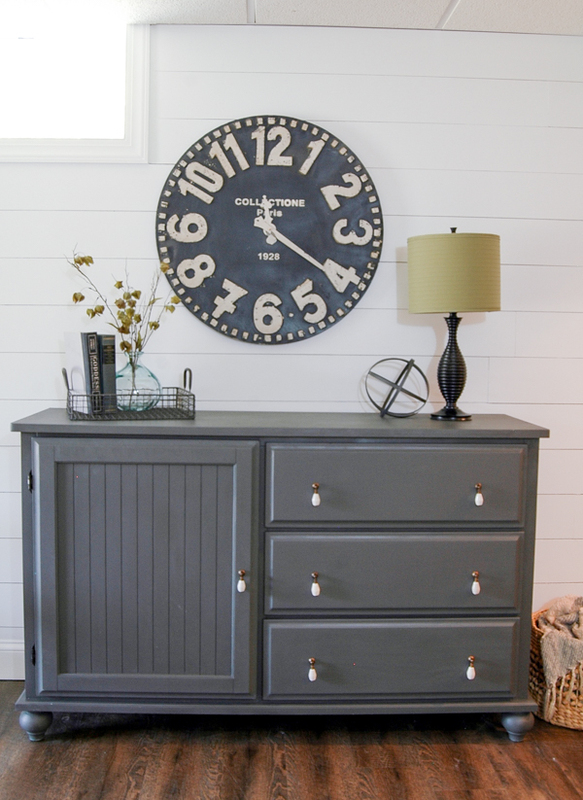 That's the beauty of buying inexpensive furniture, you don't have to feel guilty about painting and repainting them. 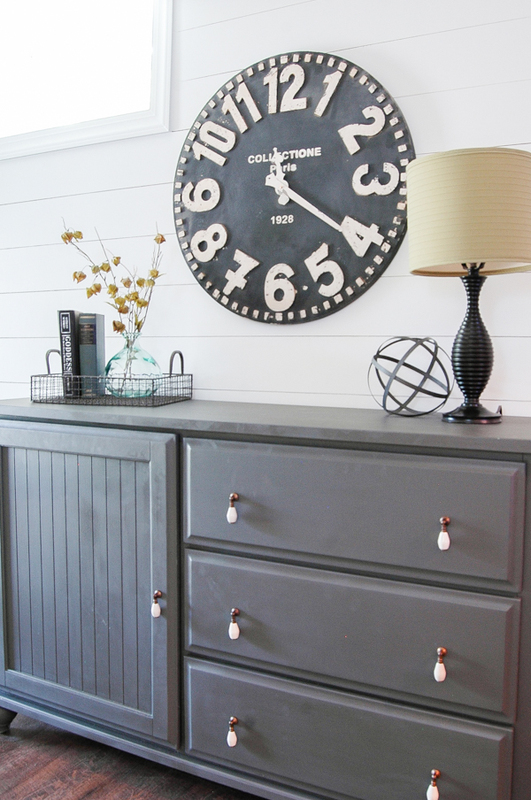 I had plans all along to repaint this piece, so when Sarah from County Chic paint reached out and asked if I would try their furniture paint I quickly jumped on board. She sent me a hand painted color card and decided on Rocky Mountain. 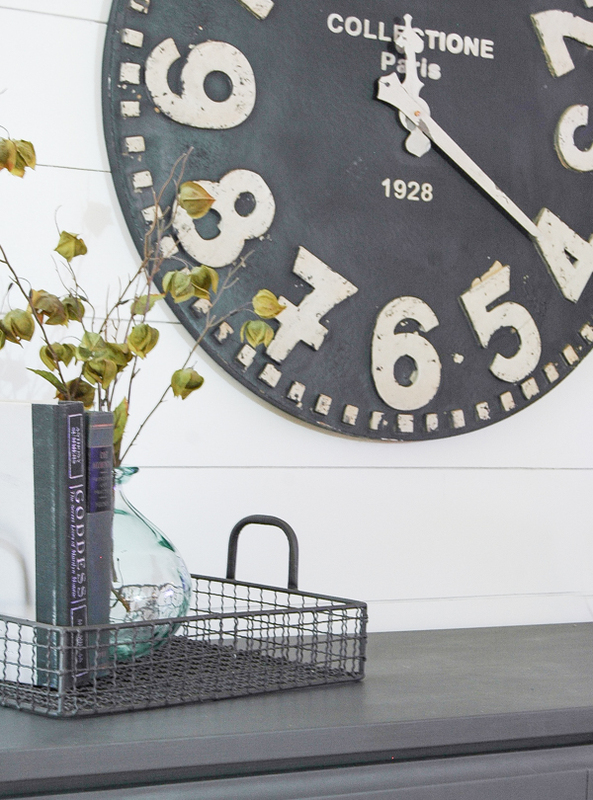 A dark gray that seemed to go well with our new sofa and recently painted fireplace. After lightly sanding the dresser I added two coats of paint. I thought about distressing it a bit, but ultimately decided to just finish it off with natural creme wax. 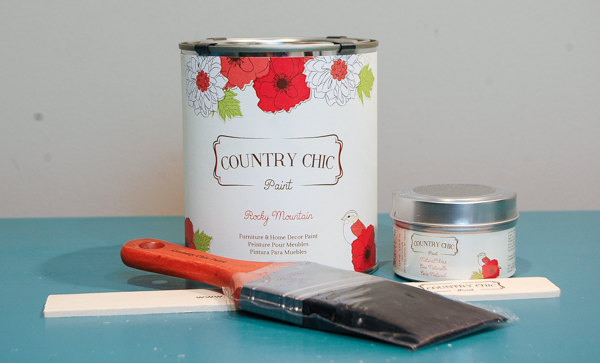 I have to say, this paint goes on real smooth and I was surprised that I actually liked it better than chalk paint. 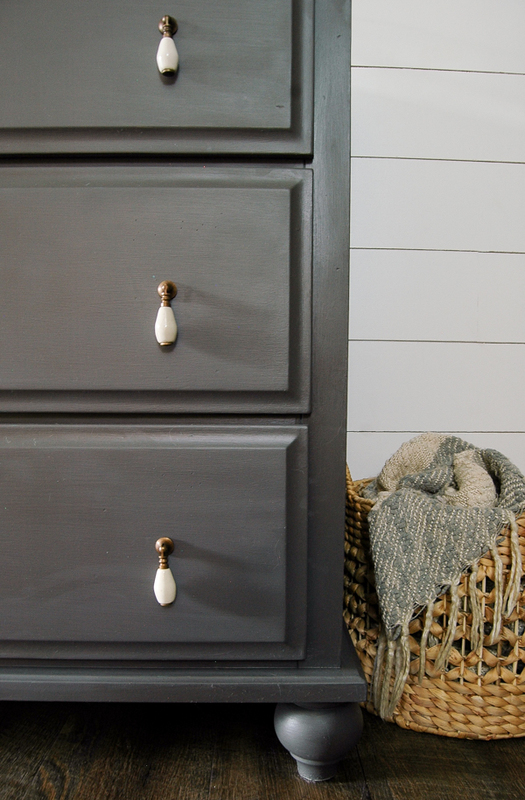 I thought about keeping the same black and white knobs, but after a trip to Hobby Lobby (aka hardware Heaven) I couldn't resist buying some fun new ones. 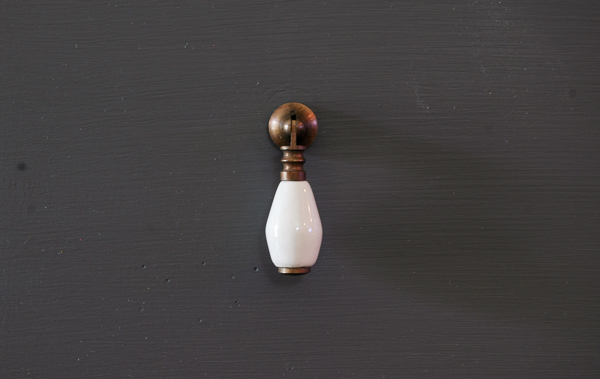 All their hardware was 50% off, which made these gorgeous brass and porcelain teardrop pulls a mere $2.50 a piece! Now that the Goodwill dresser has been repainted I really need to work on the wall treatment on the stairs. I've been putting it off due to the amount of work it's going to be, but I really need to just get it done so I can move on to other projects. 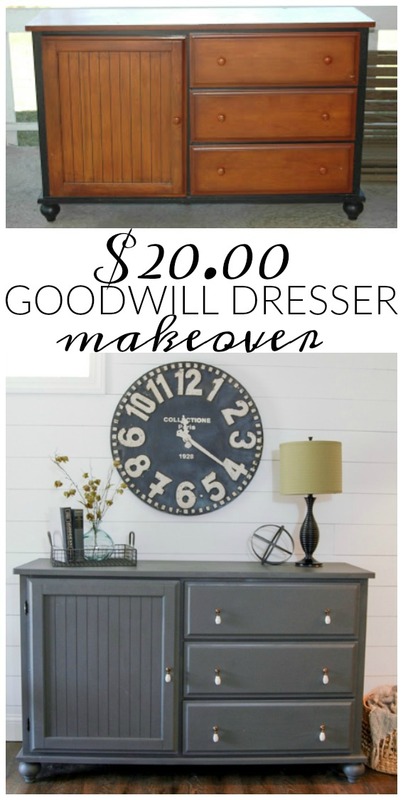 Lovely dresser makeover tutorial.It is worthy to repurpose old stuff rather than buying new. 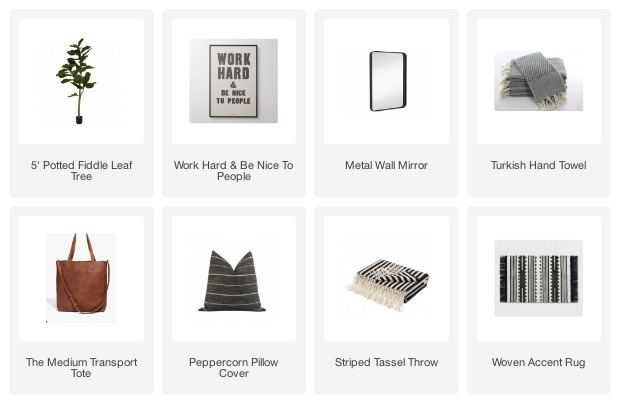 Your decor pieces on gray dresser are vintage and show stealing. Wow!! What an awesome transformation! LOVE how this turned out Katie!!! Turned out perfectly!! I love your blog and all the inspiration you share with us. This is gorgeous! 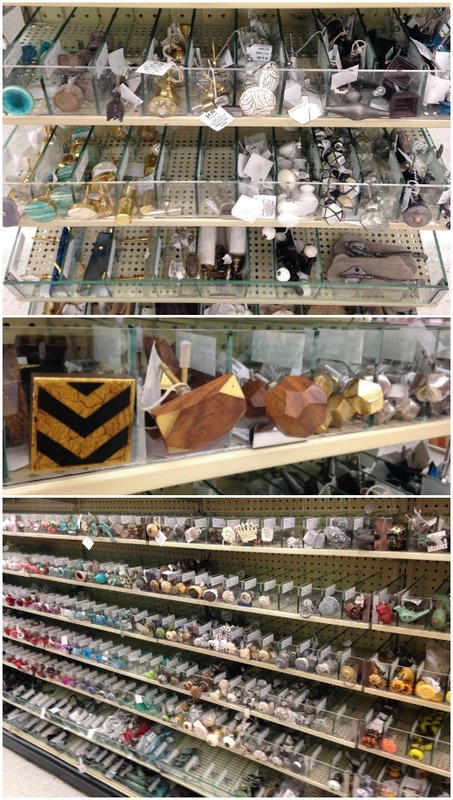 I love that color, and I totally agree about Hobby Lobby!! Beautiful, Katie! 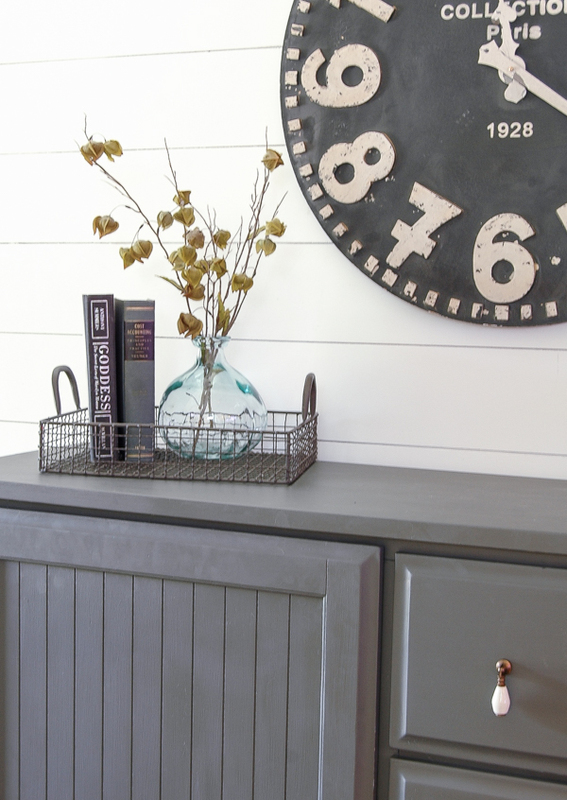 Looks perfect against that shiplap wall!